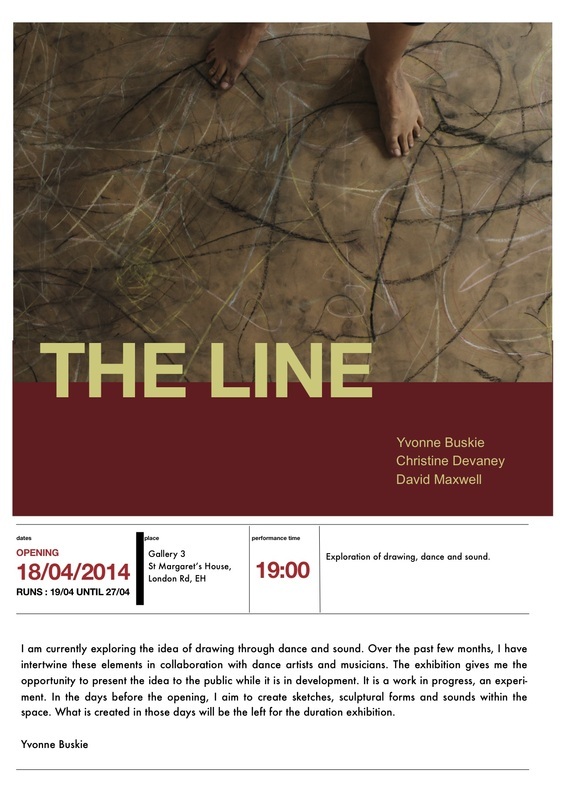 The Line explored drawing though dance and sound. It is was my desire to intertwine these elements in collaboration with dancer Christine Devaney and musician David Maxwell. The exhibition gave me the opportunity to present an idea while it is in development. The exhibition is a work in progress, an experiment. 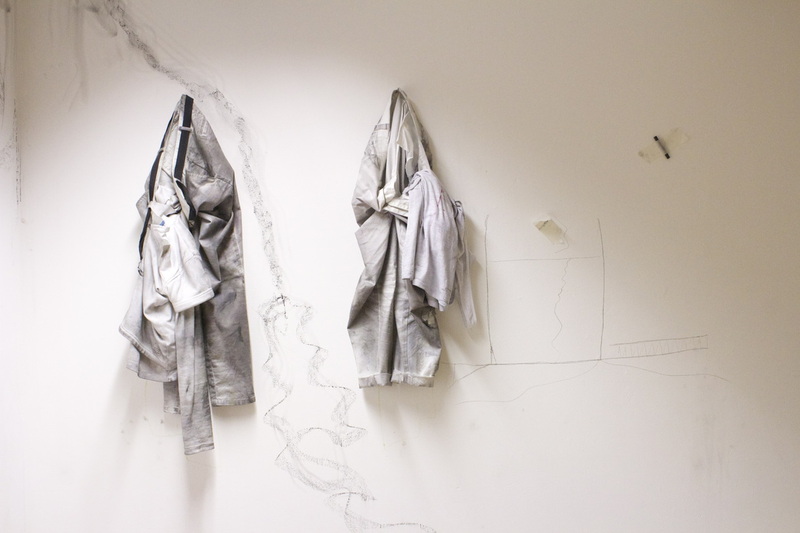 A few days before the exhibition opening we created sketches, sculptural forms and sounds with in the space. What was created in those days and in the public performance were left for the duration exhibition. Photos by Jo Timmins and Sophia Burns.